Planning a Northern Territory holiday to Darwin and the Top End? You’ll want to put some of these secret finds on your itinerary! But sshhh, don’t tell everyone, some of them are little known or secret women’s business. The ruins of 24 houses and a hospital are testimony to the ambitions of a stubborn British Government which established Victoria Settlement in remote, hostile northern Australia during the 1830’s. Approx 570km north east of Darwin, road access is by 4WD only during the dry season (May – Oct). With a history dating back thousands of years the dilly bag is a powerful and important cultural symbol to the women of Arnhem Land. Learn about the cultural significance of dilly bags, kinship and Yolngu philosophy with Yolngu women in country – sorry fellas, the Dilly Bag Tour for Women by Lirrwi Tourism is for females only. A secluded island retreat off the coast Gove in east Arnhem Land, Banubanu Wilderness Retreat is powered by the sun and wind. It’s about as remote as you can get. Which is exactly the attraction for jaded city folk wanting time to recharge their souls and connect with nature. Nature rules in this remote location with long expanses of beach, while on the water sports fishermen target marlin, sailfish and spanish mackerel. Discover East Arnhem Land and Australia’s raw and rugged coastline by water on an exclusive charter aboard the vessel MY Iron Lady. Fly into the homelands to venture deep into Australia’s ancient backyard, known as one of the country’s greatest untouched wilderness areas. Disregard traditional maps, follow ancient songlines and delve into Yolngu land. 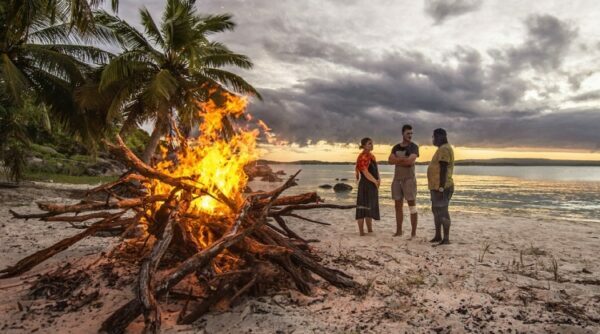 Spearfish with locals for mud crabs, gather bush medicine and foods as you are educated on Yolngu kinship, traditional lore and language. Embrace the Homeland lifestyle – unchanged for over 40,000 years on a Crooked Compass tour. 5. Bitter Springs is a sweet spotdespite its name! Fitness freaks or exercise junkies should bypass popular Mataranks for the quieter, more serene Bitter Springs Thermal Pool, where there is enough space to ‘swim laps’. Or you could just wade in and soak up the beauty of this tranquil pool – your choice! Bitter Springs branches off into a stream which is about 100m long before you reach the bridge and a ladder to exit the water. Swim back to the main pool and you’ve got a few hundred metres under your belt. 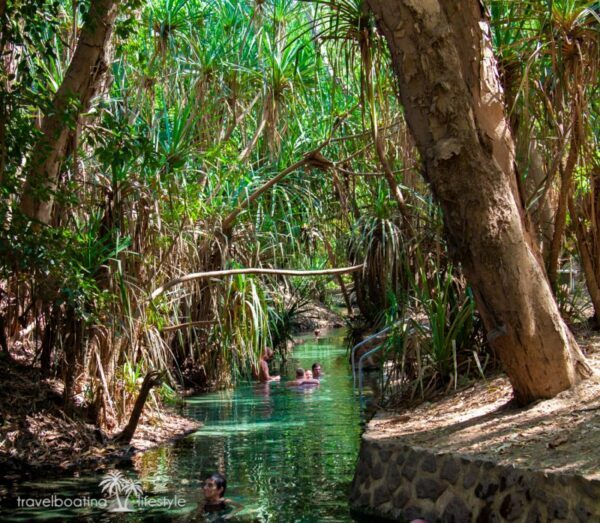 Find Bitter Springs amongst palms and tropical woodlands in the Elsey National Park. 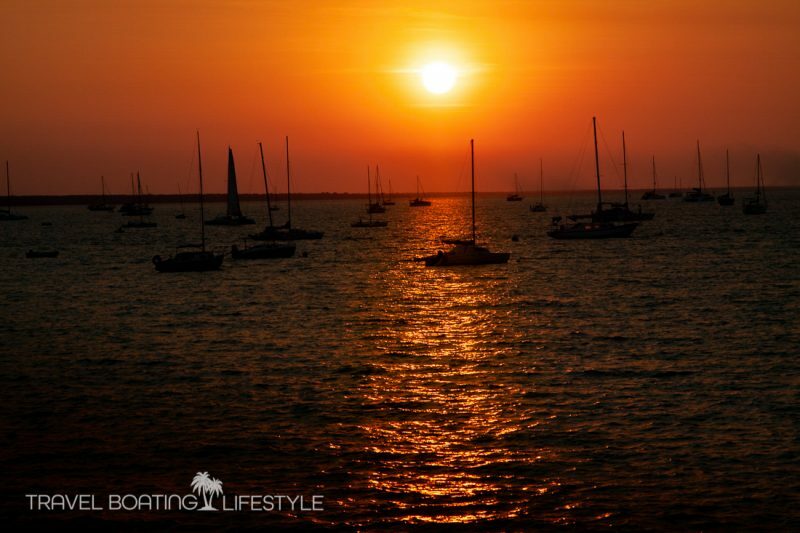 If you’ve come to Darwin solely for some retail therapy, you’ll likely be disappointed. However, if you’re set on finding something to take home head to Darwin’s first cinema which has been converted into Star Village arcade in the Smith St Mall. Quirky boutiques like Vintage Twist and Embella Jewellery, Pure Indulgence for house-made chocolate and fabulous Four Birds Cafe. In a parched landscape dominated by red dirt and choking dust, cool off in crystal clear water of natural Katherine thermal hot springs fed by the Katherine River on the edge of town. Further afield, like many of the Territory’s secret watering holes, you’ll need a 4WD to access Tjaynera Falls. The upside is you’ll probably have this lush sweet little plunge pool all to yourself. Raw Cloth is a little gem hidden away in Darwin’s northern suburb of Nightcliff. Passionate textile collectors mother and daughter duo Rhonda Dunne and Jo Dunne-Politis along with partner Kerrie Horgan source delightful 100% cotton or raw silk from Finland to the Tiwis and across the Territory, even old kimonos and Indonesian batiks. They craft these fabrics into bold, bright and beautiful clothing for men, women and children that screams ‘one of a kind’. 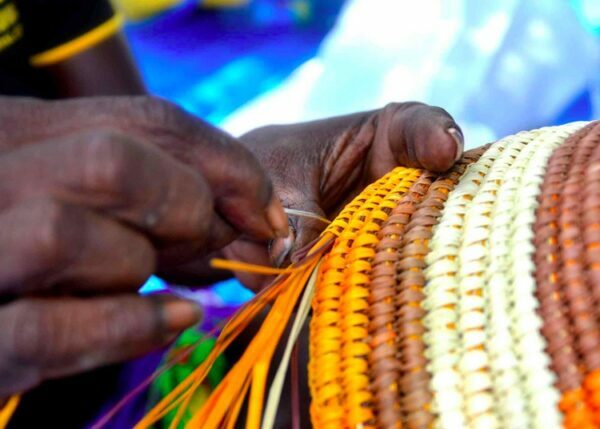 Other treasured souvenirs from the Territory are some Arnhem Land artworks or, if you’ve got the time to pop over to the Tiwi Islands, their fabrics are world famous!